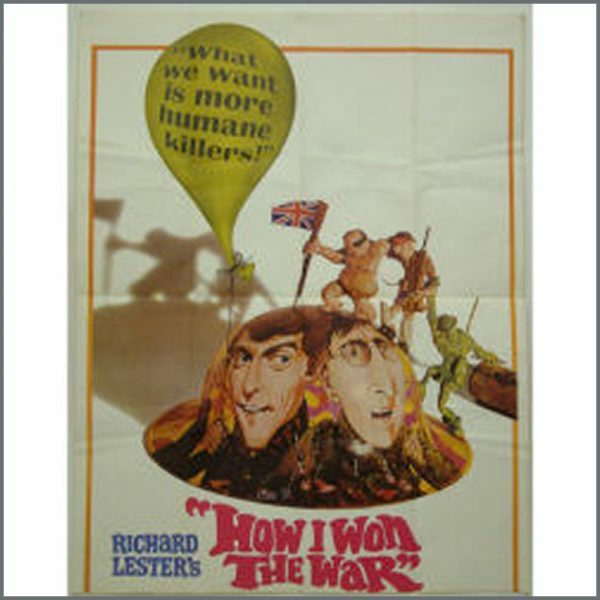 A promotional poster for the release of ‘ How I Won The War’ in which John Lennon appeared. It comes in two parts, both have been machine folded. The first part is printed ‘We need more human killers’ in the top corner. It measures 105cm x 134.5cm (41.5 inches x 53 inches). 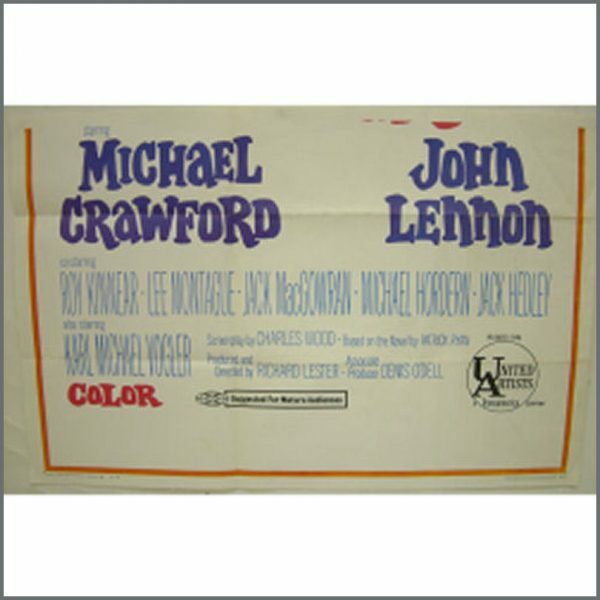 The second part is printed ‘John Lennon’ with the release date. It measures 105cm x 68cm (14.5 inches x 27 inches). The condition is very good plus.